Are there any dangers of opening your third eye? We strive to enlighten the darkness by diving deep in the unknown. We go in unprepared, not knowing what we are going to embrace only because our torch of curiosity leads us ahead. Lately, many people started showing how we can awaken and find our true purpose in life. They talk about the third eye as a way of opening your eyes and finding who you really are and what you are here for. However, this experience is connected with a lot of ambiguity. Something isn’t told and is of vital importance when you choose to open your third eye. You probably read about last week rewards of awakening your third eye article and think it’s worth trying. But there is one section that misses our sight and no one is talking about. We all agree that something fascinates us about this whole third eye opening. But have you asked yourself what exactly happens when you open it? These are entities in the fourth dimension that we cannot see presently in the third dimension. But once the pineal gland is awakened your consciousness surpasses the barriers of the physical realm and goes beyond it. Religious people call these entities ‘demons’ just because they scare them or they want people to be scared. What you see are the many and different aspects of yourself. Some of them will look positive and happy while others might look scary and can frighten you but know that what you see are aspects and emotions of yourself that you have neglected and buried deep in yourself. These entities are always with us wherever we go, wherever we are. We cannot see them, but we can feel them. And opening your third eye is a chance to hear that lost part of your personality that has long waited for your attention. Are you having day-to-day itches not knowing what it could be? These are the things we neglect and leave behind thinking they will go by without our intervention. My advice to you all keen on opening your third eye is to take this serious and enlighten yourself as much as possible before jumping into it. Because being prepared to face the unknown like a warrior before a battle, chances are the situation to go in your favor. Ever wonder who you may have been in a previous lifetime? Most of us have had hundreds or even thousands of past lives. It is practically impossible to know all of the details of every past life we have experienced. We can uncover a few lifetimes and delve into the the basic details of the lifetimes that may be parallel to this current lifetime experience. 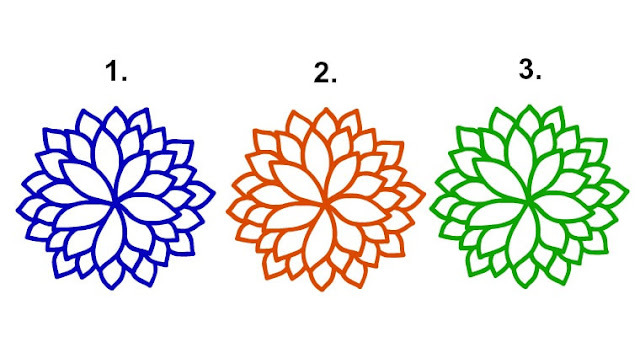 To find out who you were in at least one lifetime, select the color that resonates the most with you. In a previous lifetime you possessed excellent communication skills. You were either a teacher, counselor, advisor, or someone who was respected and often looked up to. When you spoke you had the attention of everyone in the room. You also were fair, honest, and were always in integrity with your intentions which is why everyone held you in a favorable light. Attributes To Embrace In This Lifetime - Excellent communication skills, honesty, fairness, and the ability to train and teach others to help raise them up. In more than one lifetime you were extremely creative and artistic and were either a musician, artist, composer, and or writer. If you did not have some sort of creative outlet in that lifetime (and this one as well), your soul is restless and out of whack. You often needed alone time as an outlet to connect with your inner self. It's as if there was an insatiable desire to express yourself through the arts and not many understood this drive. ​The ability to see the ordinary and make things extraordinary and appealing to the senses was and still is a gift that you possess. Be sure to make time to connect with your inner creative self often because your soul craves an artistic expressive outlet. You were a either a healer, medicine man/woman, doctor, nurse, and or veterinarian. You were someone who was a natural healer and helped others who were needing deep healing on either the physical or spiritual realms. You had the ability to see the medical issue, find the emotional/spiritual cause and help them with their physical ailments. Attributes To Embrace In This Lifetime - Natural healing abilities. If you haven't already taken an energy healing class or read books on the heal process, it probably is a good idea to learn more about your natural healing gifts and how you can integrate them on a professional or personal level. It’s no secret that long-term relationships are a lot of work. Successful relationships require trust, good communication, patience, and the ability to be vulnerable with your partner. Long-term relationships obviously don’t build themselves overnight. Sticking with someone for the long-term is a choice that you have to make day after day. Long-term relationships are a huge responsibility, and they won’t be successful unless both partners are mature enough to put in the necessary effort to make things work. To be completely honest, not everyone is cut out for them. For many reasons, a lot of people choose to not get involved with long-term relationships and prefer short-term flings or noncommittal relations. Not only do successful ones depend on interpersonal and relationship skills, but they also depend on timing and life circumstances. A lot of people feel they’re not in the right place in life to commit for the long haul. No one seems to want to commit. We go through people like tissues and are always in search of something better. But I’d like to think that long-term relationships aren’t dead and that it’s all a matter of finding someone willing to put in the necessary work. If someone really wanted to be in a serious relationship, they would work for it by communicating with their partner and taking the time to build strong trust. They wouldn’t drop things at the first signs of trouble or constantly stay on the lookout for other options. When you’re putting yourself out there to date, people like this might seem hard to find, but they’re definitely out there! Some zodiac signs just commit harder than others, and some signs are great at workingÂ through arguments and disagreements so that their relationships stay strong. 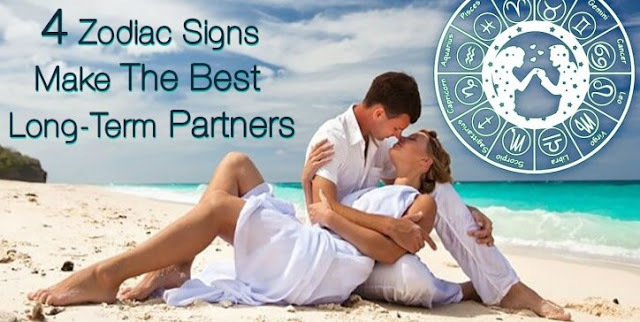 So, without further ado, here are the 4 most-committed zodiac signs who make BEST long-term partners. Taurus people are stable and reliable. When they go into relationships, they are devoted to their partner. A Taurus will make it clear that they want to commit to you. They don’t like sudden changes or insecurity of any kind. So your Taurus bae will likely work hard to make your relationship work. They are attuned to stability, but that doesn’t mean they are boring. Far from it! Tauruses are notoriously sensual. They wontt settle for dull Netflix and chill dates; they want to actually go out and have adventures. They always want to try new things, and they will make sure that the relationship never reaches a point where you two run out of things to do. Cancers are extremely caring. They thrive in long-term relationships because they know how to communicate honestly. They are unafraid to share their feelings, and they encourage their partners to do the same. Cancers get attached to people they care about, so when you date a Cancer, don’t expect them to get up and leave when the going gets tough. They commit hard, and they constantly strive to make their relationships work. A Cancer will know how to bring up issues that the relationship needs to address. They will also make sure that their partner’s emotional needs are met. Cancers are loyal, and they strive to continually grow and learn from their partner. It’s no wonder they make such great lovers! Virgos are extremely dependable. When problems come up, they have a methodical approach to fixing things. They will always address things with their partner, and they strive to make their relationships the best that they can be. Virgos are team players, and they know how to tackle their relationships problems. They will sometimes have arguments and disagreements with their S.O., but the two of them will work through things and come out stronger as a result. They are also extremely loyal and kind, making them ideal partners for the long run. Libras LOVE long-term relationships. They value harmony in their relationships, and they are extremely patient. They aren’t afraid of vulnerability or emotional honesty, which helps them communicate their needs and desires to their partner. When Libras enter relationships, they want things to work SO badly that they will do anything necessary to keep their relationship strong. They are committed to maintaining harmony within their relationships, and they are great long-term partners because they work hard to make sure their boo is happy. They enjoy stability, and they aren’t likely to stray from their partners.